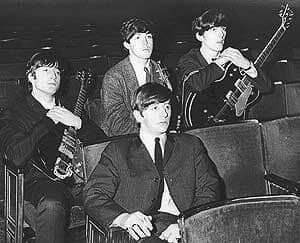 The 14th date of The Beatles' 1963 Autumn Tour was also their second and final trip to Wolverhampton. They had previously played there on 14 March 1963. Throughout the tour The Beatles performed a 10-song set: I Saw Her Standing There, From Me To You, All My Loving, You Really Got A Hold On Me, Roll Over Beethoven, Boys, Till There Was You, She Loves You, Money (That's What I Want) and Twist And Shout.